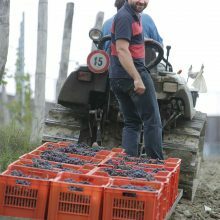 Harvest takes place when the berry has reached perfect ripeness. 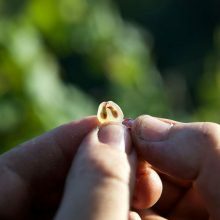 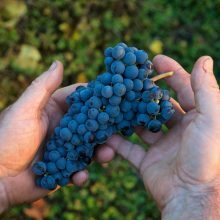 We believe it is not helpful to evaluate the sugar content of the grapes as this could potential errors in judgment during very hot vintages when sugar content precedes maturation of the grape. 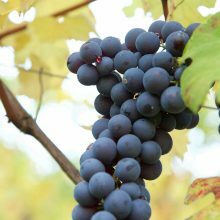 As children in our family, we are taught to taste the berries paying particular attention to the skin and seeds. 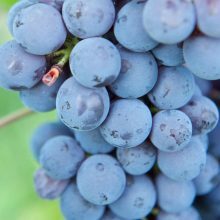 The berries are at optimal ripeness and ready to harvest only when they have a crisp texture. 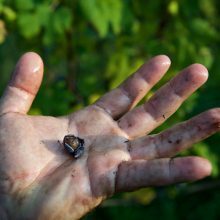 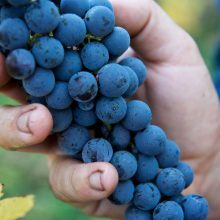 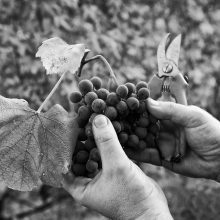 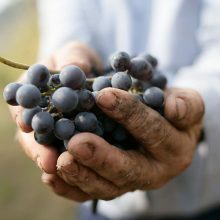 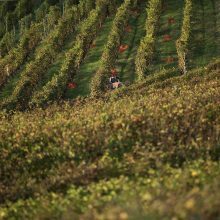 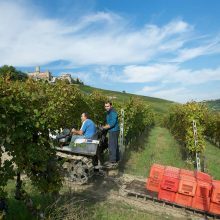 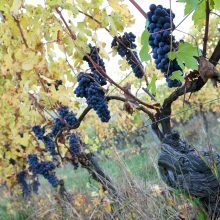 Old vines, massale selection and naturally fertilized vineyards gives us the opportunity to harvest grapes that combine perfect physiological maturity with moderate potential alcohol, close to zero malic acid and high tartaric acid. 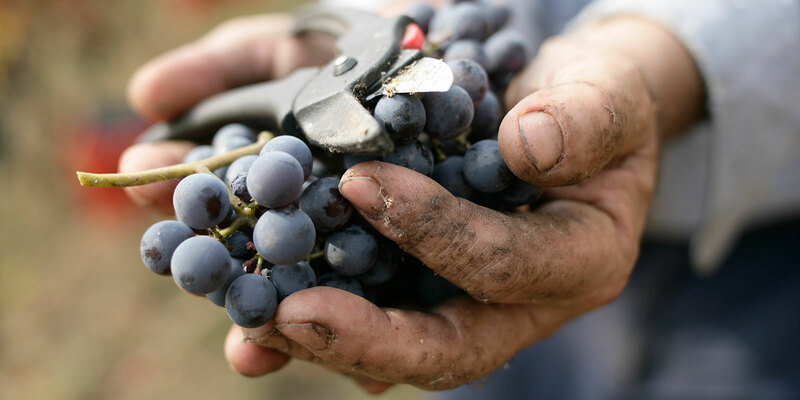 Each year during the early to middle part of September we begin our harvest in our vineyards planted to Dolcetto. 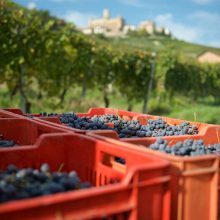 The first harvest is in Dolcetto in early-mid September. 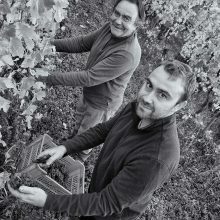 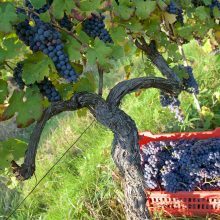 The Nebbiolo harvest is much longer and can last 3-4 weeks. 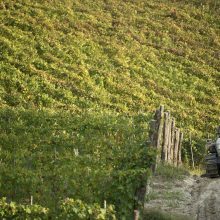 Each vineyard parcel has a perfect moment of physiological maturity and can vary based on the age of the vines, as well as the directional exposure and altitude. 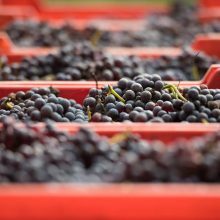 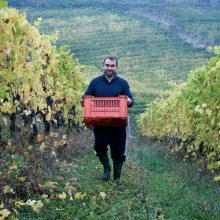 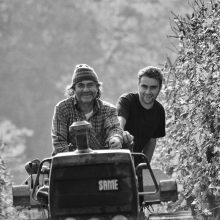 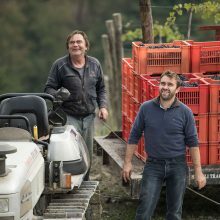 During the harvest we gently lay each cluster of berries manually into boxes containing a maximum weight of 10kg (22 lbs.). 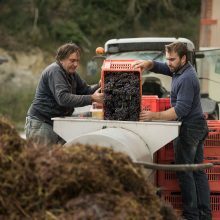 This prevents the berries from breaking during their short trip for the vineyard to the winery where they are immediately de-stemmed and crushed.